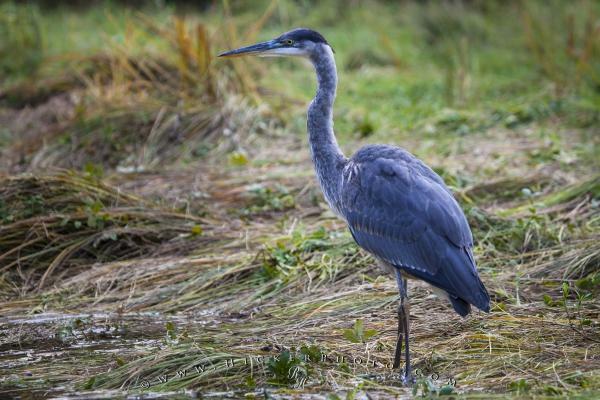 The Great Blue heron is a beautiful, large wading bird which is commonly found along the BC Coast in Canada. This beautiful majestic bird known as the Great Blue Heron, is generally a solitary feeder. They can often be seen standing along beaches or foraging for food. Great Blue Heron, Ardea herodias, Vancouver Island, British Columbia, Canada. Photo of a beautiful and grand Blue Heron along the coast of Vancouver Island, BC, Canada.